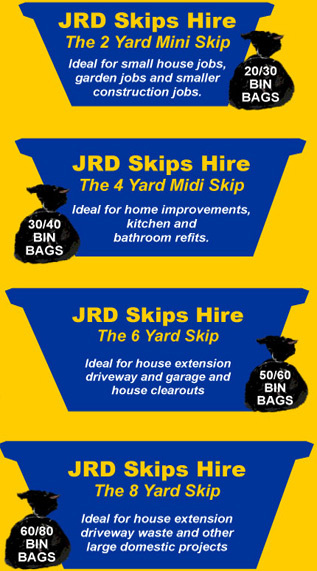 JRD Skip Hire Provides You Reliable Skip Hire & Collection Services In Milton. We are specialists in the supply of 2 cubic yard mini skip, 4 cubic yard midi skip and 8 cubic yard standard builders skip. These sizes of skips is ideal for the domestic market.